San Bernardo is the oldest, and as previously mentioned, my most favourite part of Genoa. I have defined the parish as the area south of Via San Lorenzo and Piazza Dante and west of Via Annuziato, but that’s just my guess. Traces of Roman walls can still be found in some foundations and even some earlier Etruscan finds have been made here. It’s also the area that was enclosed by the original medieval city walls. Sadly only one of the city gates, the Porta Soprana, is still standing with the last remnant of the city wall attached to it. The rest of the wall was demolished in the 60s to make way for the ugly office buildings in neighbouring Piazza Dante. A small building near the gate is said to be where Christopher Columbus once lived, or at least according to a plaque put up by the city council (he’s claimed by other countries as well). 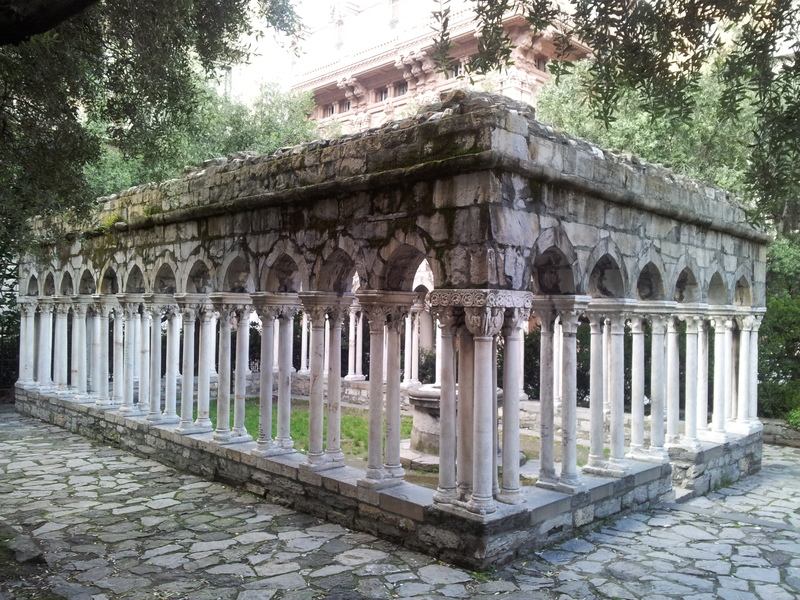 There’s also an old cloister with some nice pillars and carvings here too. 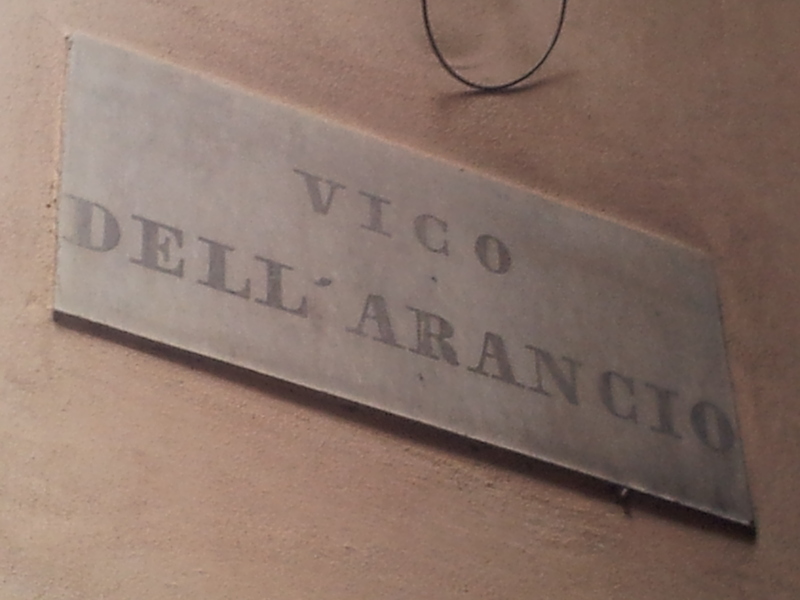 As with other parts of the old town, San Bernardo is a warren of vicoli and tiny squares. It’s great fun wandering around them in the day and I was told by a few locals that it’s safer than other areas of the old town at night. 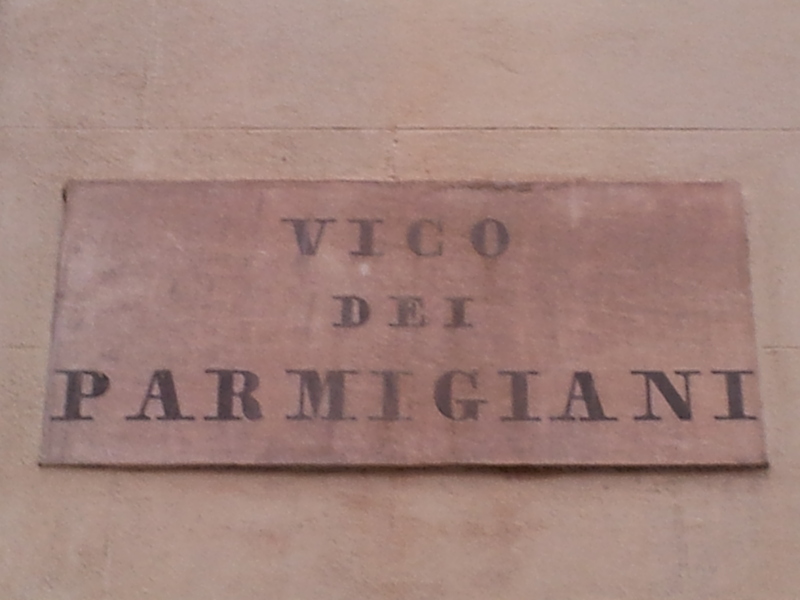 A lot of the street and alley names are food related around here. The restaurants below are in order of personal preference. There’s also a great little bar at the bottom of this post that’s a bit more relaxed than those in nearby Piazza del Erbe (see separate post) which is quite frenetic at the weekends. 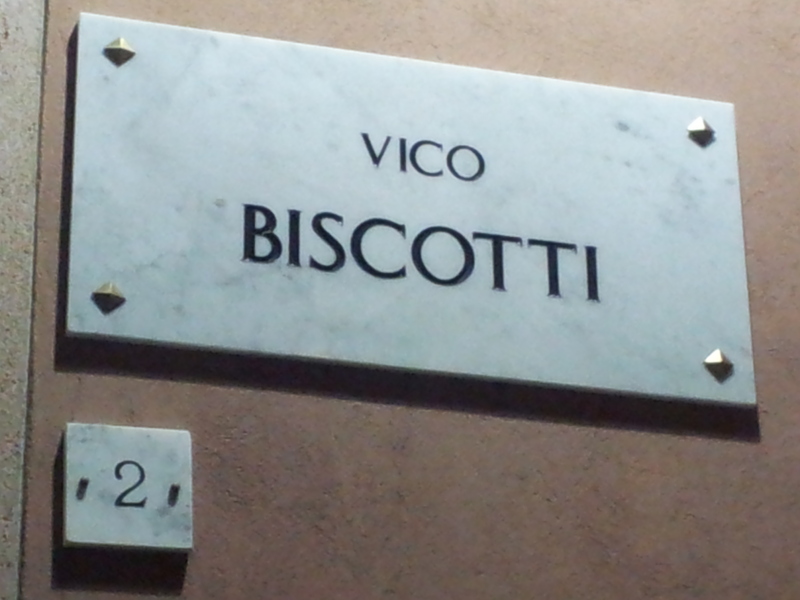 This was my favourite place to eat during the sixteen days that I stayed in Genoa. Recommended by Cadogan, my friend John and a teacher at one of the schools I was working at, this is a trad place deep in the heart of San Bernardo. 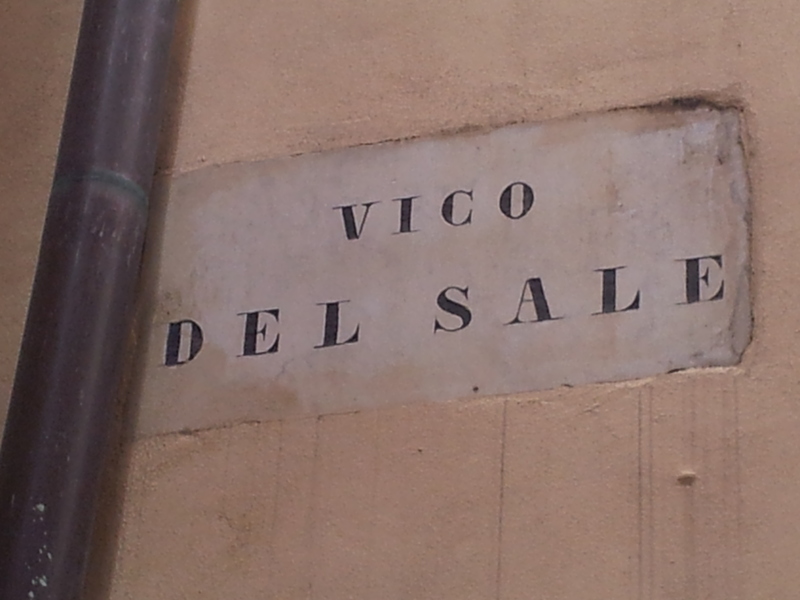 The name refers to salt being refined in a pestle and mortar (an important industry in Genoa historically) which I think is what the building was originally used for. The ambience is very atmospheric and you’d think you’d gone back to the middle ages if it wasn’t for the wine fridge and the modern clothes of the clientele. Huge trays of the famous local Farinata and various savoury tarts, fresh out of the wood-fired oven, greet you as you enter. A chef the size of a small house rapidly dispenses dishes to the tiny waitresses in orbit around him. Guests are seated on basic narrow trestles at a wooden table and presented with a stripped down menu of local classics. I started with the Piatto Misto della Casa; five slices of various tarts which in my case included Farinata (B), Torta Salata alla Cipolle (ricotta and onions) (B), Torta da Riso (rice, Parmesan and milk curds) (B), another tart of bietole (chard) and ricotta (B), a ripenio of stuffed onion and polpe which I don’t think I’ll ever get to like (C) despite several attempts. This was all much heartier and tastier than what I got at Gaia (see Genoa Garibaldi post). I’m glad I tried it all again, and I liked it more than previously, but the tart and pie side of things just isn’t my favourite aspect of Genovese food. However, the next dish of the classic Trofie al Pesto Genovese was mind-blowingly good (A+) with the pasta, so al dente it was verging on uncooked, and the vibrant green pesto restoring my faith that the local version is really the best. It was even better than mine! I tried a quartino each of the house white (C+) and the red (C+), both of which were slightly fizzy (indicating youthfulness) but inoffensively tasteless and thirst quenching, so no need for water. 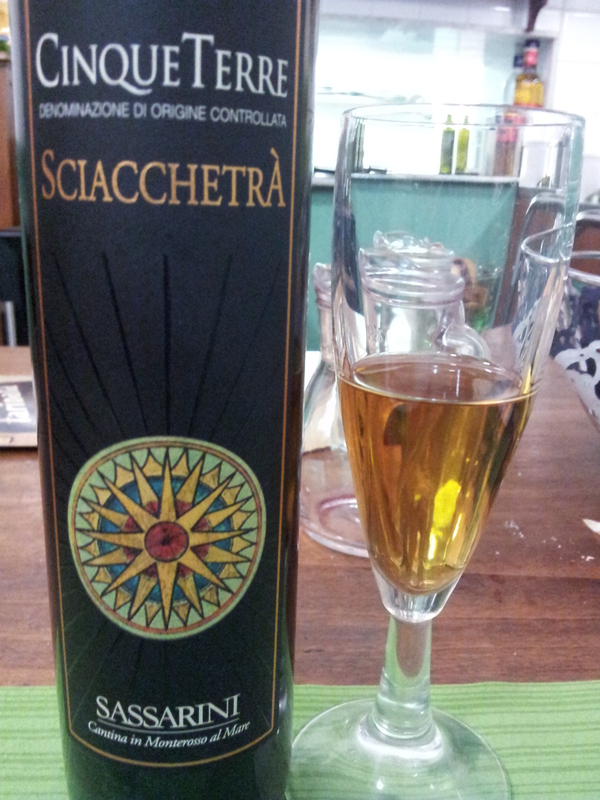 …and a glass of Sciacchetra (by Sassarini), the local dessert wine (B). Finally a Cafe Macchiato brought the bill to a measly €33. A bargain for such an enjoyable experience. Right down on the south-western tip of San Bernardo lies this famous seafood specialist, apparently beloved by politicians, artists and other celebrities. While I was reading the menu a complimentary round of deep fried dough balls arrived. They were filled with different vegetables like artichokes and olives (B+). My eye was drawn to Tomaxelle which in Liguria usually refers to a dish of stuffed veal. However here Le Tomaxelle Croccanti di Pesce Azzurro al Profumo di Maggiorana con Nuvola di Porri Brasati referred to croquettes of shredded ‘blue fish’, scented with marjoram and strips (or a ‘cloud’) of deep fried battered leeks, which were fantastic (A). Pescato alla Ligure was I think seabass prepared in the Ligurian manner with black Taggiasche olives, pine nuts and potatoes in a delicious white wine sauce (A+). Must try to make this. With the fish a nice bottle of Pigato (Colle dei Bardellini 2011) went well (B+). To finish a rather miserly slice of Sacripantina (a Genovese sponge cake made with butter cream) which was fine (B), especially when accompanied by a glass of sweet dessert wine from the Sicilian island of Pantelleria (A). And finally a great glass of homemade barrique grappa (A) which put hairs on my chest. The final bill of €70 was a lot for me but I think I got good value for money. The service I got from one of the older English speaking waiters was excellent. He was great at calming unhappy children with various magic tricks which was fun to watch. A good place which I would happily go back to. This quiet old school place was recommended by Gambero Rosso and it didn’t disappoint, although my slightly jaded palate went for the meaty options rather than the seafood it is better known for. My first course was Ravioli al “Tocco”, packets of pasta filled with beef and borage (‘boraggine’) which was fine, if a bit oily (B). Borage is also used in Liguria to fill the other local pasta ‘pansoti’. Germany, Crete and some regions of Spain also use it in cooking, and by the Poles when pickling gherkins, but in Britain it is only used as an optional addition to a glass of Pimms, a drink I hate. So the jury is still out for me. Craving a steak with chips I went for the European classic ‘Filetto al Pepe Verde’ (filet in a green peppercorn and cream sauce) (A) with Pattatine Fritte (B+) which both hit the spot. With this two glasses of unmemorable (B) Zangani ‘Il Montale’ local red (Colli di Luni 2012). For dessert Canestrelli Genovesi, brittle daisy-shaped biscuits reminiscent of shortbread, dusted with icing sugar (B). They are made all over Italy, particularly in the mountainous Northern regions, but are especially famous in Liguria. These came with an excellent glass of non-local Moscato d’Asti Saracco (2010) which was just sublime (A+). The bill came to a tasty €54 with cover. Conclusion; pleasant service, well cooked food, would definitely go again. Borobudur Ristorante Indinesiano (Intermediate D), 8r Via Canneto il Lungo, Tel. 010 247 5310, www.borobudur.it Closed Tuesday. I came to this place, just up the slope from Trattoria della Raibetta, in search of a change from the relentless diet of Italian food. I had the Menu Bali for €30, a series of dishes that were barely edible (C) or completely inedible (D) to the point that I don’t want to remember them by writing about them. I love Indonesian food but this was a massive disappointment. The Bintang beer (B) was the best thing about the experience notwithstanding the ‘spettacolo di danze’ show at 9pm. You won’t catch me in here again. Wandering homewards from Da Rina one night I stumbled on a very atmospheric little square called Piazza di San Cosimo. There was a small bar called Mandragola in the alley leading to the square where a DJ was playing funk and soul to an older crowd. Definitely my kind of place. The friendly bar tender made me an excellent Negroni with aromatic Boe Scottish gin, Carpano Classico vermouth and orange flavoured Angosturra bitters (A). I took it outside to the square and sat on the steps of San Cosimo church to daydream about having my own little place here one day. Don’t be tempted by their sister restaurant next door though (badly cooked food, slow service), despite the pretty stained glass window and the tempting tables outside. Both places are part of the same co-operative but the three guys who run the bar are the only ones who have got it right. This entry was posted on September 29, 2013 at 7:44 am and is filed under San Bernardo with tags Borobudur Ristorante Indinesiano, Da Rina, La Mandragola, Sa Pesta, San Bernardo, Trattoria della Raibetta. You can follow any responses to this entry through the RSS 2.0 feed. You can leave a response, or trackback from your own site.